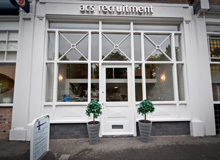 We are looking for a Real Estate Paralegal/ Newly Qualified Solicitor. review of searches and enquiries. • Managing project documentation and collating title packs. • Assisting with the formulation and engrossments of contractual documentation. • Reporting on title to banks/ private company’s lending finance. • Dealing with post completion registration and stamp duty land tax formalities. • Interacting with clients where necessary. • Ability to work proactively and flexibly. • Well-developed communication skills both written and oral.